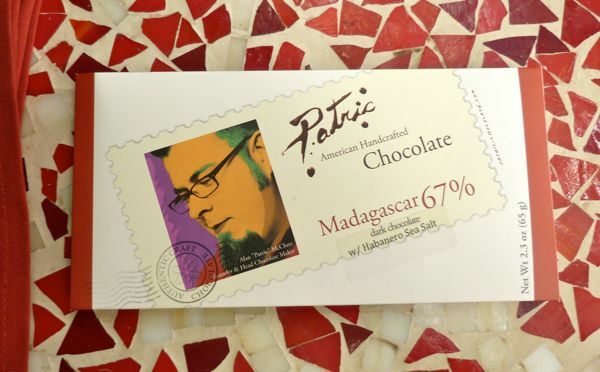 This Madagascar 67% dark chocolate offering from Patric Chocolate (Columbia, MO) had a light sprinkle of salt crystals on the back side of the bar. Tiny, emerald-tinged salt gems had been infused with habanero chili pepper flavor. 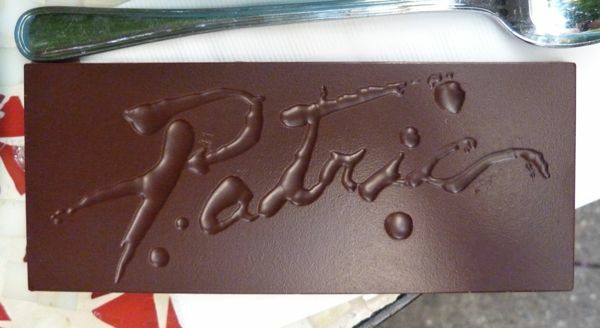 The salt harmonized well with the chocolate that had citrusy fruit/acidic notes characteristic of Madagascar cacao beans. 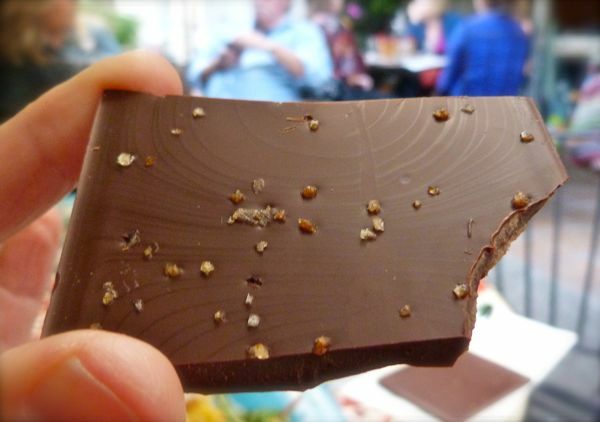 When it comes to chili flavor, it's hard to beat the smoky sweet peppers (like chipotle and ancho) when mixed with chocolate, but it was fun to try a bar with a light habanero kick.